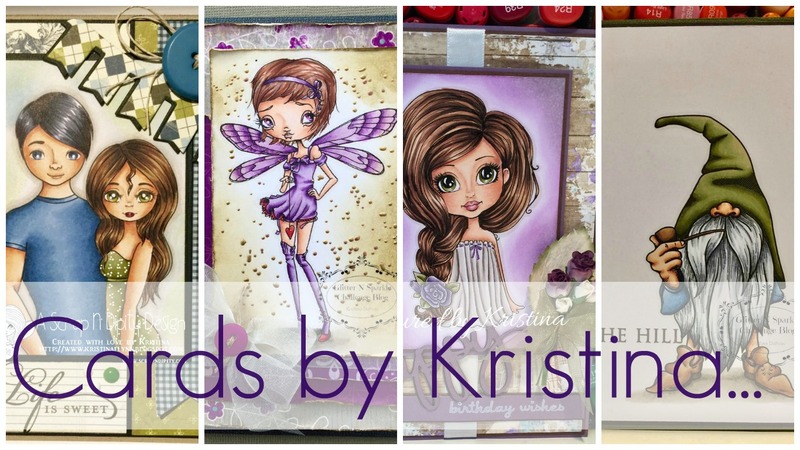 Kraftin' Kimmie Stamps - Wonderful Wednesday Challenge - Anything Goes. Hiya everyone! The heat wave we have been experiencing in Victoria for the last 4 days has finally subsided and now we are experiencing a much more civilised 22 degrees Celsius. It was tough going - especially trying to sleep at night. But now with the cooler weather time to get some crafting done!! I am also on two weeks of annual leave - YIPPEE!! It's been so long since I have had time off work. So now I am going to spend some time getting involved with some challenges to get my creative juices flowing again. 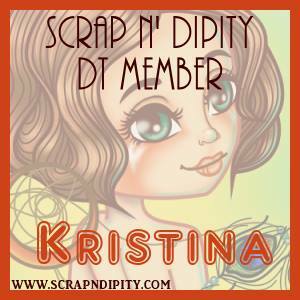 So today I am playing along with Kraftin' Kimmie's first Wonderful Wednesday Challenge for the year - Anything Goes. 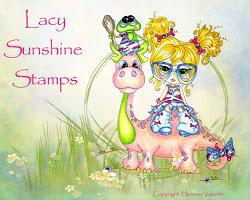 I have a lot of Kraftin' Kimmie stamps that have never been inked up - I just love the images I keep buying them - LOL. So I finally inked up Diana and coloured her with Copic markers. Also pulled out some patterned paper which is quite old - it's amazing what you find in your stash when you actually look. 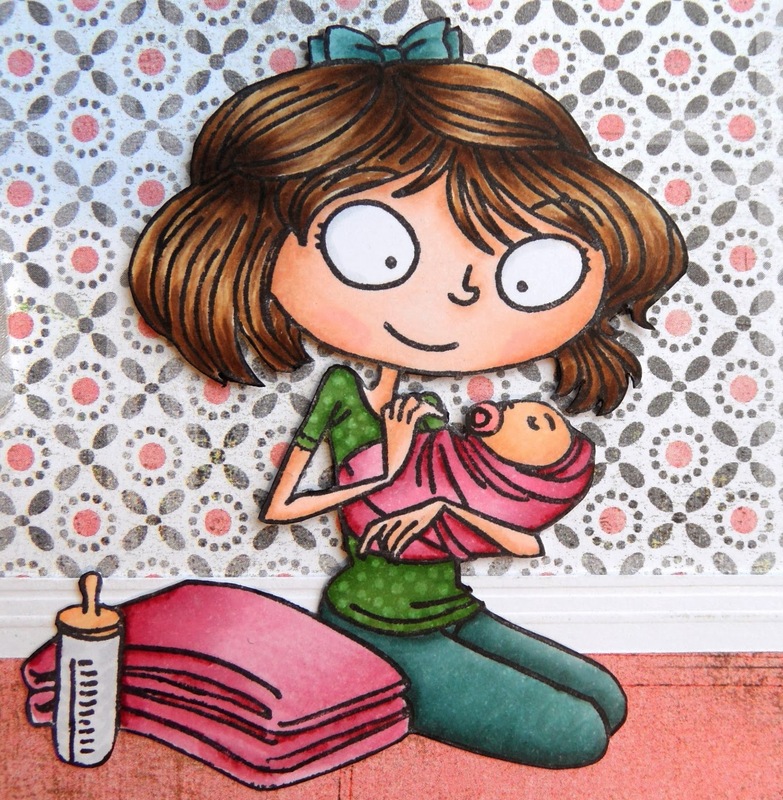 The paper is From BasicGrey - Olivia collection. I tried to make it look like Diana was sitting on the floor in her little girl's new nursery with pretty wallpaper and pink carpet. For the kick board rail I used white cardstock and scored it to make it look like the wood. Thanks so much for looking. Have a wonderful weekend!